On today’s show we take your questions on delicate dress details, an address conundrum, who gets the armrests, when your host doesn’t serve dinner, and a formal luncheon flop. 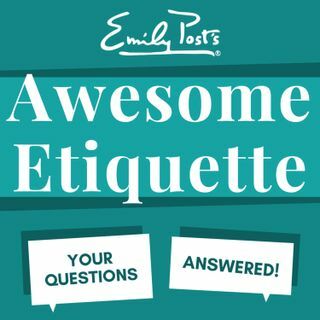 Plus your feedback, etiquette salute and a postscript segment inspired by Dan’s cold. For sustaining members your question of the week considers whether asking about schooling is rude.